A large flock of Brant at Calf Pasture Beach, April 2015. I love seeing Brant along Long Island Sound. It’s fascinating knowing a bird that is so close in the winter will be spending its summer in the Arctic. Of course, lots of birds we see in New England during the winter _ especially waterfowl _ nest far north of here, but few are as easily seen as Brant. A flock of Brant swims in the marshlands of Milford Point in Milford, Conn., April 2014. 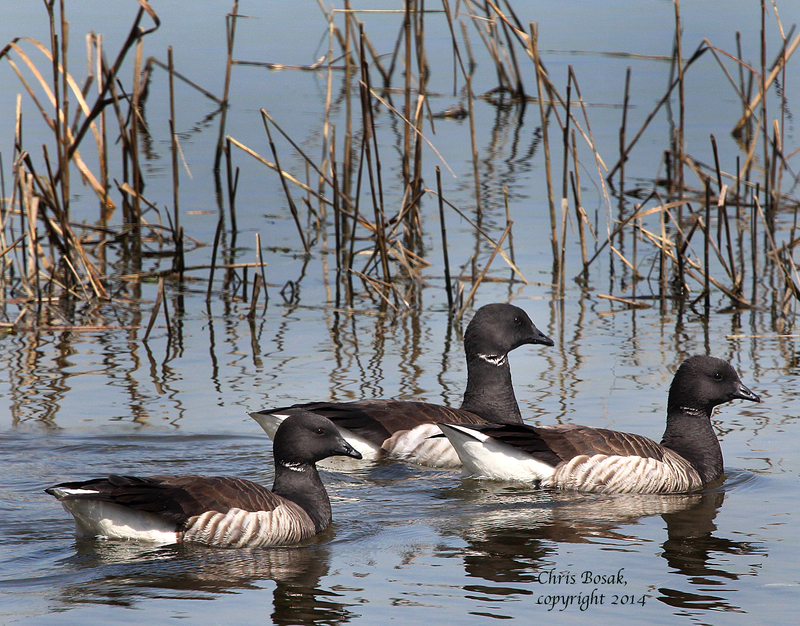 Here’s a small flock of Brant I saw in the spring of 2014. At certain locations along the coast of southern New England, Brant flocks can number in the hundreds along Long Island Sound. At Calf Pasture Beach in Norwalk, Conn., the Brant flock pushes 1,000 birds or more. Brant look somewhat similar to Canada Geese, but are smaller. A few individual Brant hang around New England through May and into June, but most of them return to their nesting grounds in the Arctic by March or April. 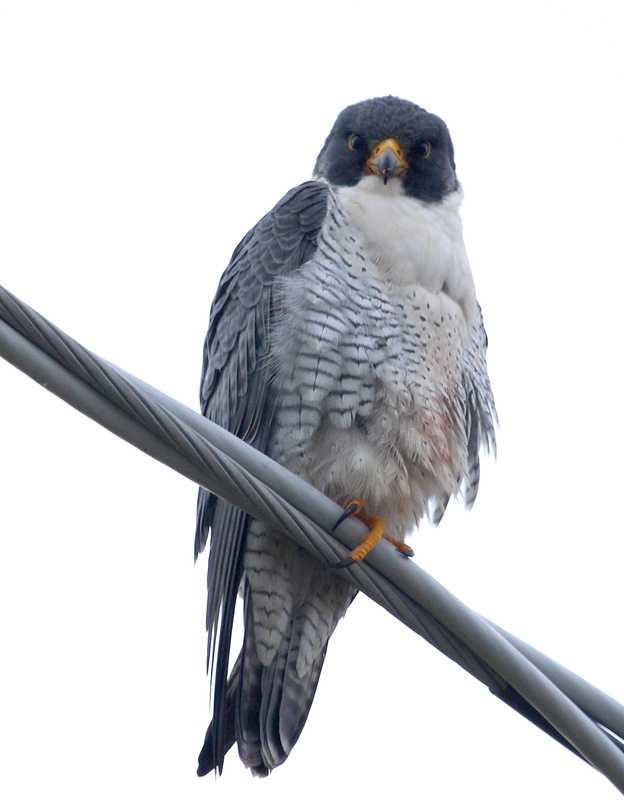 It’s nice that they come visit us each winter. 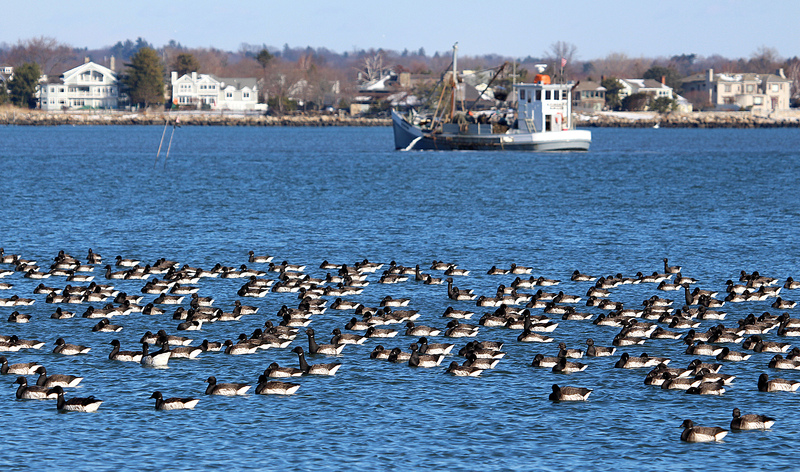 A huge flock of Brant congregates as an oysterboat works the waters of Long Island Sound off Calf Pasture Beach in Norwalk this winter. I was filling out my Christmas Bird Count Captain’s Statistic Sheet (finally) and I had to question for a second my own numbers. Did I really see more than 1,000 Brant that day? A Brant swims off the coast of Norwalk this winter. 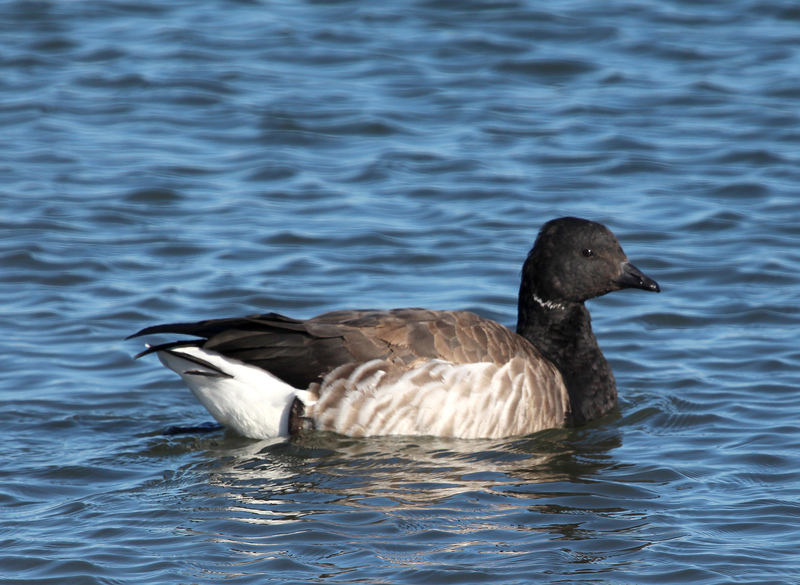 Brant are geese that breed in the Arctic and head to somewhat warmer waters during the winter. From a distance, or to the untrained eye, they can easily be mistaken for Canada Geese. 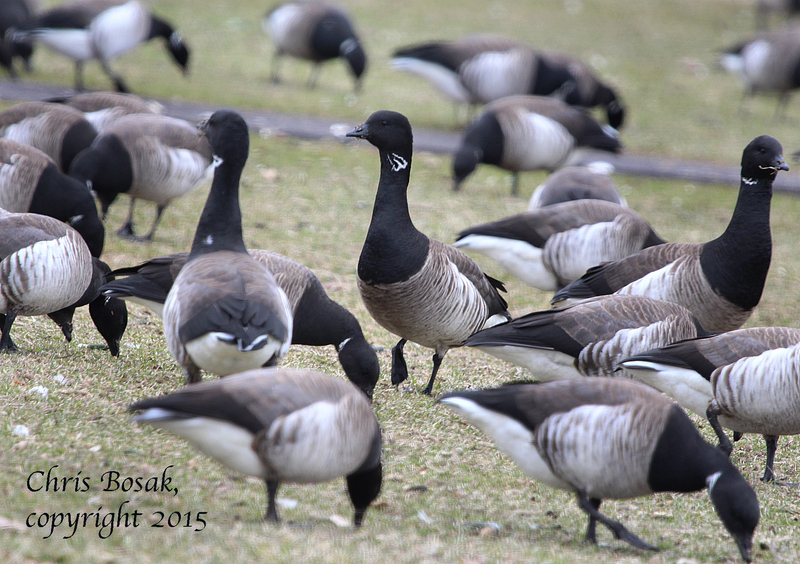 Brant, however, are much smaller and lack the white “chin strap” that is so obvious on Canada Geese. Norwalk has been a hot spot for Brant for many years. Huge flocks can be seen from Calf Pasture Beach throughout winter. Sometimes they are on the water. Sometimes they are near the water. Sometimes the flock is divided with some on the water and some near the water. The flocks often number hundreds and hundreds of birds. Most of the Brant will have migrated north by April, but some individuals or small flocks will remain into June or even later. They are likely young birds that aren’t going to breed anyway and therefore do not feel the sense of urgency to fly to the Arctic breeding grounds. One of the many reasons I like Brant is because they are a reliable winter sighting here in New England. Birdwatching makes the winters here bearable — dare I say enjoyable — and it’s species like Brant that make winter birding fun.